Then Mike meets Sean, the new kid, and “hey” becomes games of basketball, partnering on a French project, hanging out after school. A night at the beach. The fierce colors of sunrise. But Mike’s father is always watching. And so is Victor from school, cell phone in hand. I received this book for free from Candlewick Press for review consideration. This does not affect my opinion of the book or the content of my review. 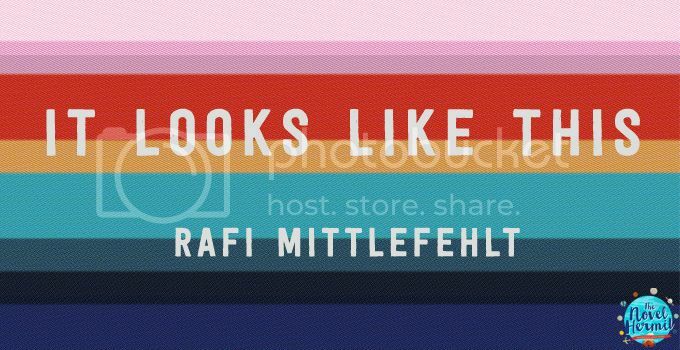 Oh, It Looks Like This, I wanted you to be an awesome LGBTQ+ book, but you were just too—*yawns*. 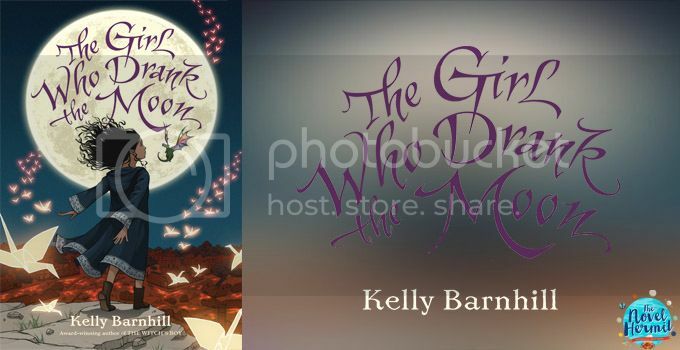 My heart is filled with so much love for The Girl Who Drank the Moon! In the Protectorate, there’s a yearly tradition where the people leave a baby as an offering to the witch who lives in the forest. Nobody questions why; they do it out of fear of this evil witch who is said to do horrible things to them if they don’t. However, this witch in the forest named Xan is nobody to be feared; she is a sweet old woman who actually does a lot of good, delivering the babies to a loving home when she finds them. Xan’s life changes when she accidentally feeds an abandoned baby moonlight and decides to raise the enmagicked child, Luna, with a Swamp Monster and a tiny dragon. Not only do Xan’s life changes with this baby, but also the lives of the people who live in the Protectorate, where a young man there can no longer stand the threat of the witch and heads into the forest to kill the Witch. Get your cape on with the DC Super Hero Girls™—the unprecedented new Super Hero universe especially for girls! Readers of all ages can fly high with the all-new adventures of Wonder Woman™, Supergirl™, Batgirl™, and some of the world’s most iconic female super heroes as high schoolers! Supergirl is the new girl in school—and she just also happens to be the most powerful teenager in the galaxy! After losing her home planet of Krypton and everyone she knows, Supergirl has made a new home on Earth, but she’s isn’t so sure that Super Hero High School is the right place for her. Wonder Woman, other new friends, and a kindly librarian make her feel welcome, but breached inter-dimensional portals, invading alien armies, and bad dreams shake her confidence. It’s not easy being a super hero and a high school student all at once! 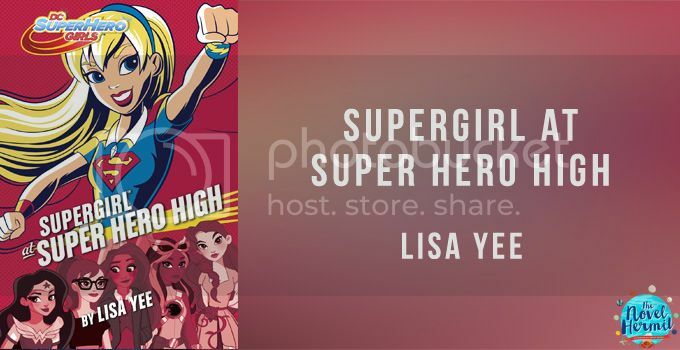 The wonderful folks at Random House asked me if I wanted to take part in a blog tour for Supergirl at Super Hero High, and I was absolutely thrilled because it’s Supergirl! Another awesome female superhero that everybody should get to know. First sentence: “Wonder Woman!” Principal Waller bellowed. It’s a bird, it’s a plane…it’s Supergirl first time at school! In this sequel to the Super Hero High series, the Kents have decided that it’s time that Supergirl enroll into Super Hero High to take control of her powers and hone them. However, Supergirl is really unsure that going to Super Hero High is a good idea. The school is hard (another rival school doesn’t do exams), and she keeps making tons of mistakes that could be unavoidable if she isn’t Supergirl (aka clumsy). In Supergirl at Super Hero High, Supergirl has to deal with the mounting pressure of being a superhero, her insecurities of not being worthy enough, trying to fit in, her grief over the death of her parents and Krypton, various threatening incidents involving the Boom Tubes, and much more.